For most people, the only mail they get is bills, junk mail, and the occasional birthday card. Many people won’t even send cash via the post because of the risk of it being intercepted. But some people have been a bit more ambitious with the things they entrust to their postman. Here are 10 of the weirdest, most valuable, or frankly objectionable items that have made their way through the postal system. If you had one of the most valuable diamonds in the world, how would you transport it? Carefully, one assumes. Previous owners had been somewhat cavalier with the Hope Diamond. For example, Evalyn Walsh McLean put the stunning blue diamond on her dog’s collar. She also let injured soldiers toss the diamond between their beds at Walter Reed Hospital to raise their spirits. But perhaps the most risky trip ever taken by the Hope Diamond was via the US Post Office. 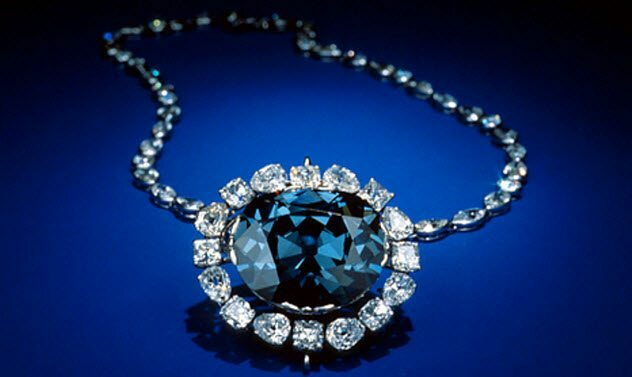 After McLean’s death in 1947, the Hope Diamond was sold to the gem dealer Harry Winston. He used the famous stone to draw in business. In 1958, he was persuaded to donate the diamond to the Smithsonian Institution. He decided the best way to get it there was to send it by post. The total cost of the postage was $2.44. Not entirely heedless of the risk, Winston did take out a $1 million insurance policy on the diamond. Postman James G. Todd walked the Hope Diamond in its brown paper package over to the Smithsonian and presented it to head of the institution in front of waiting cameras. Henry Brown was born into slavery in 1815 in Virginia. He only gained his “Box” middle name when he managed to escape from his predicament at age 33. Brown had married a fellow slave. They had three children when his wife’s master sold her and the children to a crueler master who took them far away. Brown had to watch from the street as they were marched away with ropes around their necks. Separated from his family, Brown decided to escape. He got in touch with antislavery activists in the North. Together, they decided upon a novel route of escape. Brown would be packaged in a crate and sent to the free states. For 27 hours, Brown was moved by rail, wagon, and steamboat until he arrived at his destination. 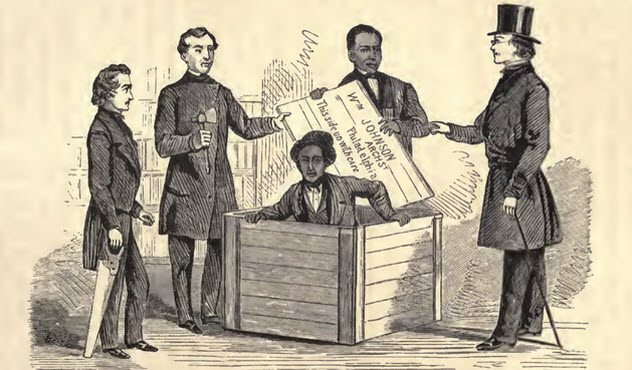 When members of the antislavery committee opened Henry “Box” Brown’s box, he greeted them with “How do you do, gentlemen?” Brown had escaped slavery by post. Other people have used the postal system as a route of travel. 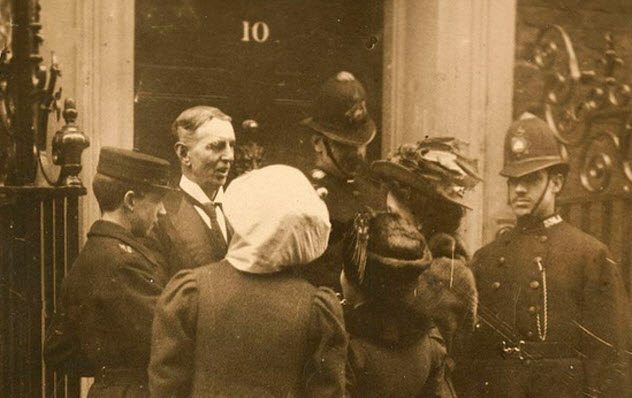 At the beginning of the 20th century, there was active agitation to get women the right to vote in Britain. Suffragettes held protests and did all they could to bring their cause to national attention. In 1909, two suffragettes took advantage of a little-used rule which allowed “human letters” to travel through the mail system. Miss Solomon and Miss McLellan were posted to 10 Downing Street to talk to the prime minister. The suffragettes made their way to the post office. After paying the delivery fee, they were passed to a telegram delivery boy and escorted to Downing Street. One of the suffragettes held a poster announcing an upcoming demonstration, and the other held the delivery notice. Since they were addressed to the prime minister, he would have to acknowledge their delivery himself. Alas, the butler refused to pass them to Prime Minister Asquith despite the women saying that they were already paid for. 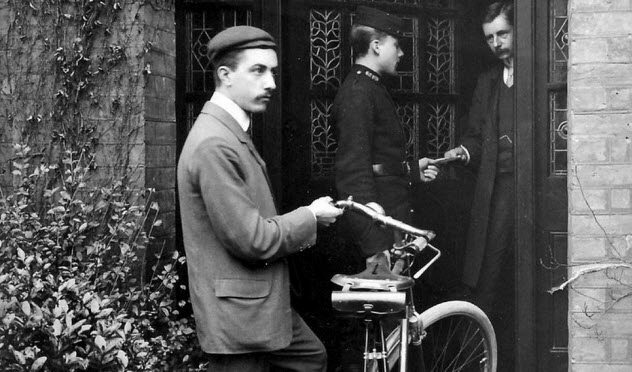 The suffragettes were returned to the post office, and the telegram boy had to explain his failure to deliver them. There are some people who cannot hear about a rule without immediately wanting to test how far they can push it. One group of investigators decided to see just what the US Postal Service would allow and then published their results in the Annals of Improbable Research. This is the magazine responsible for the Ig Nobel Prizes for unusual research. It aims to make its readers laugh and then think. The items sent fell into the categories of valuable, sentimental, unwieldy, pointless, potentially suspicious, and disgusting. The objects ranged from a $20 bill in clear plastic to a helium-filled balloon to a box of dead fish and seaweed. The items had plenty of postage attached, and the time between being sent and received was recorded. Sixty-four percent of the odd objects made it to their destinations. When postal workers had handled objects in the “disgusting” category, the researchers sought them out and gave them a box of chocolates for their trouble. We have seen people sent through the mail for political reasons and to escape a horrific life, but there have been more prosaic reasons to send human letters. The Parcel Post Service revolutionized package delivery when it began in the US in 1913. Prior to this, people had to carry their packages to large towns to send. Now every post office would deal with your parcel as long as it weighed less than 5 kilograms (11 lb). That same year, Mr. and Mrs. Jesse Beauge in Ohio posted their 5-kilogram (10 lb) baby to his grandmother’s house at a cost of 15 cents. They even insured the kid for $50. When this weight limit was changed to 23 kilograms (50 lb), two parents had a cunning idea. May Pierstorff’s parents wanted to send her to visit her grandmother but thought the cost of a train ticket was far too high. 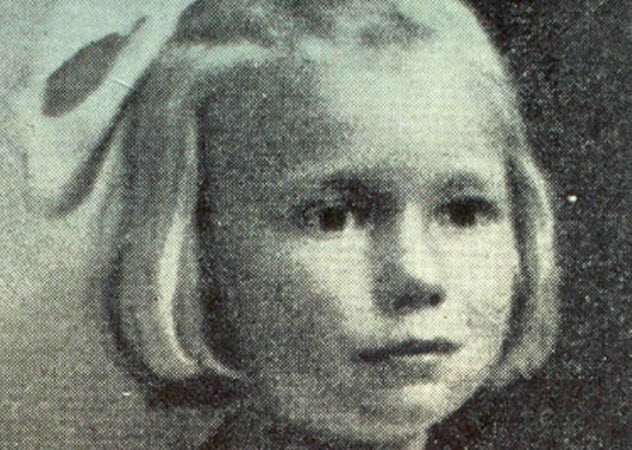 They attached the correct number of stamps to May’s coat, and the 22-kilogram (48.5 lb), five-year-old child was shipped in the mail carriage of a train to her grandmother. In 1914, the postmaster general put a stop to using the postal service to send people. It can be so hard to decide what to write in a card for someone’s birthday or other life milestone. You want to say something meaningful and unique, but it’s hard to do when you’re writing in a trite, mass-produced card. So why not say it with a potato? Surprisingly, a number of companies in several countries will, for a price, send a potato through the mail to a recipient of your choice. 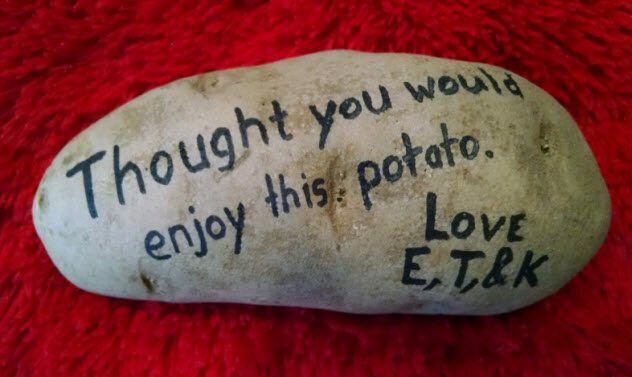 Some companies will write your message directly onto the skin of the potato, attach postage, and send it as is. Others offer more elaborate systems where they will decorate your potato and wrap it before sending. You can even have googly eyes attached. With so much competition in the potato-sending market, companies are always looking to innovate. One company will print an image of a face directly onto the potato. If you want to eat the potato, then peeling it may be necessary unless you are feeling a little cannibalistic. When we think of mail services, most people imagine their carriers walking between houses to drop off letters. In New York, a more impressive system was developed in the 1890s. 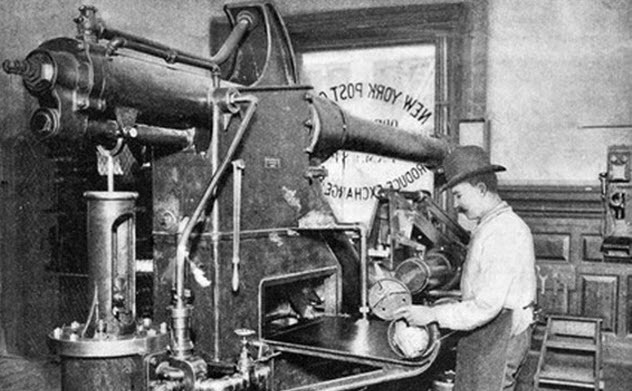 A series of tubes allowed mail to be shot across the city using pneumatic pressure. How it could live after being shot at terrific speed from Station P in the Produce Exchange Building, making several turns before reaching Broadway and Park Row, I cannot conceive, but it did. It seemed to be dazed for a minute or two but started to run and was quickly secured and placed in a basket that had been provided for that purpose. When other branches to the pneumatic system were opened, a canister holding a goldfish bowl and live fish was sent through. Apparently, the fish arrived unshaken by their travels. 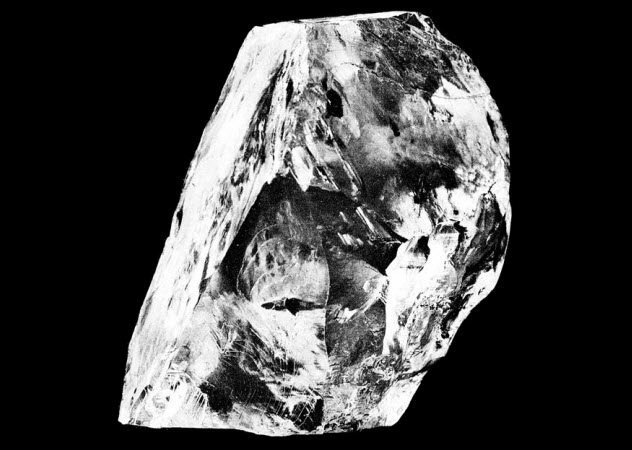 The Cullinan Diamond is the largest gem-quality diamond ever found. It was 3,100 carats—around 0.6 kilograms (1.3 lb). Discovered in South Africa, the diamond was bought for the then-huge sum of £150,000 as a gift for King Edward VII. There is a long distance between South Africa and England, and no one was sure how to transport such a valuable item. The protection given to the diamond was announced with much fanfare to put off would-be thieves. Detectives and bodyguards were given the task of getting the stone from the mine to the boat which would carry it to London. Even when locked inside the captain’s safe, the gem was under special protection. In fact, this was all an elaborate ruse. The box under such careful watch was a decoy. The real Cullinan Diamond was placed in a cardboard box with three shillings postage and sent to England. But the strange travels of the Cullinan Diamond were not over. 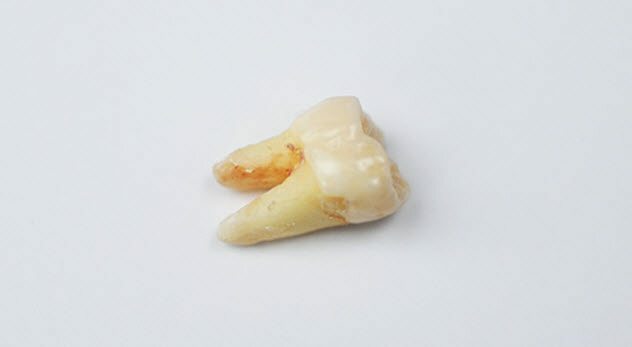 When it was sent to Amsterdam to be cut and polished, another decoy was sent in a Royal Navy ship while the gem cutter traveled with the stone in his coat pocket. The stones cut from the Cullinan can now be found in the crown jewels of Great Britain. Vernal, Utah, in the 1910s was a small town of a few hundred people, but it was looking to expand. Local banker William H. Coltharp decided that the town needed a bank made from hard-wearing bricks to show its coming prosperity. The problem was that the nearest brick works was over 274 kilometers (170 mi) away and the cost of transporting the bricks to Vernal would have been four times the cost of the bricks themselves. Coltharp found that sending them by the new Parcel Service would be a fraction of the cost. So 15,000 bricks were packaged up and posted. To stay within the weight limit of 23 kilograms (50 lb) on any one package, the bricks were split up into crates. As many as 40 crates a day, a ton in total, were sent from the brick factory. The postal workers in charge of this mass of building material wanted to simply drop their heavy deliveries at the site of the bank. But the postmaster of Vernal insisted that they had to pass through the post office. As a whole bank’s worth of bricks built up in his post office, he regretted his insistence on following the rules. 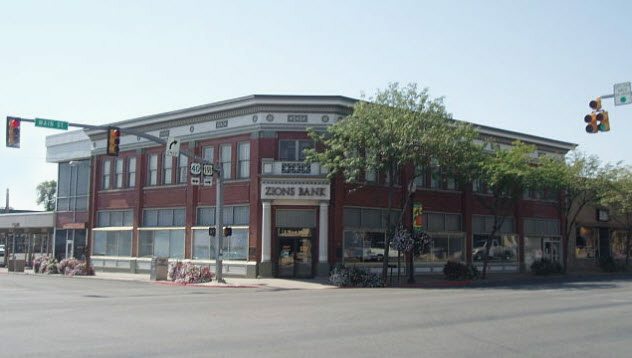 The bank built by Coltharp stands to this day. A new postal rule was devised to stop anything similar from being tried in future. No one person was allowed to send more than 91 kilograms (200 lb) to the same recipient in one day. W. Reginald Bray was a fine example of an English eccentric. He dedicated his life to his whims. When he collected autographs, he amassed a collection of 15,000 and was known as “The Autograph King.” But he is perhaps best known for his experiments with the limits of the British Royal Mail. In 1898, he bought a copy of the regulations that governed the British post and set about testing them. He took great delight in addressing seemingly random objects and seeing if they would be delivered. The letter box conveniently placed outside his home received deposits of half-smoked cigars, frying pans, and a rabbit’s skull. Thankfully, his dog, which was clearly addressed to the family home, made his way safely through the postal system. On one foggy night, Bray was lost and posted himself to the address he was looking for. For more crazy stories about the mail, check out Top 10 Unusual Mail Deliveries and Events and Top 10 Facts About Mail-Order Brides.